Action Fence builds beautiful wood fences designed to last you many years. These products are typically found in residential neighborhoods and provide a sense of nature, beauty, and privacy. You will want to consider two important factors in your selection process, and making the right choice will save you thousands of dollars. What type of wood will you use for your fence? What type of construction will you implement? While there are other choices that provide easier maintenance like aluminums or the virtually maintenance free vinyls, these absolutely classic looking products add such a richness and rustic beauty to any property that we understand completely when one of our customers decides to go in this direction. There is no other company better qualified that you'd want to have help you in the selection process and implementation of your vision then Action fence. The types of builds we do use pressure treated and strongly set posts, and the variety of looks is virtually endless. Plus if you have a specific vision in your mind, our team loves helping you create custom built wood fences as well. We offer multiple graded woods to meet your budget and desires, and can help you make the best choice for your home during your initial consultation. You may also want to consider combining wood with chainlinks to create a custom hybrid fence installation. Ask our reps about this today! We truly believe that if you can imagine it, we can build it! We also install custom fences, security gateways, and secure access points. We know there are many fence companies to choose from and appreciate you visiting with us. 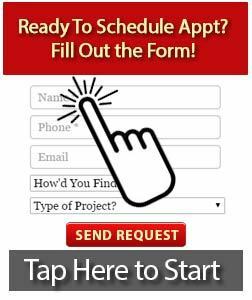 To get an idea of some of our past works, please click the button… or if you’re ready to schedule a free no-obligation fence consultation or have general pricing questions, give us a call now at (423) 842-8700. How long does a wooden fence post last? How much does a 6 foot privacy fence cost per foot? How much does it cost to get a wood fence installed? How much does it cost to install a wood fence?